I was out photographing after a rainstorm and everything was beautifully with nicely saturated colors. Because of the low light I used a tripod. 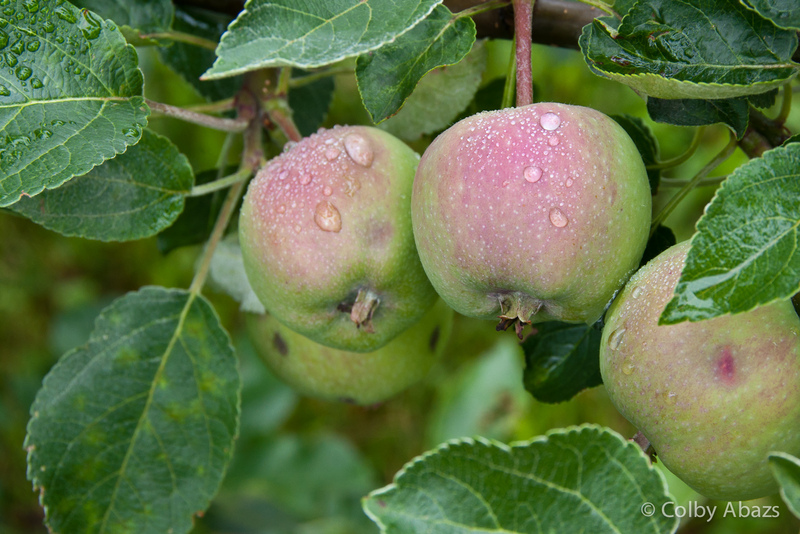 I loved to water drops on the ripening apples with the deep green background and framing. I made this photo partly out of trying to make my own version of all the droplet covered apple photos I have seen.